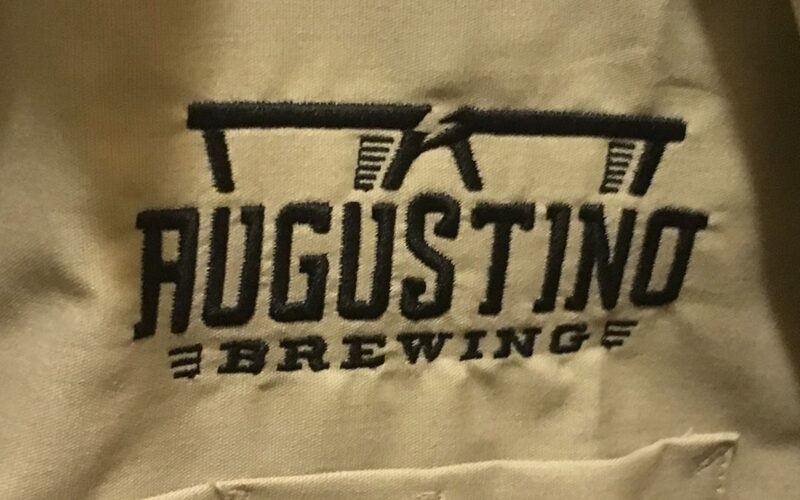 It’s been a while since I last blogged on our progress at Augustino brewing and our adventures toward bringing a new craft beer concept to the market here in Wichita. However, a lot has been happening to bring interesting and unique beers to the market in Wichita. Most notably, we had our Founders campaign, which formally concluded at the end of last month. The reason why we didn’t do a crowdfunding are like a traditional start a business might do and what many breweries do these days in order to help augment their own money and that of other investors and banks in order to open is because we wanted to change the tone and change the mindset behind the funding of our business. This is why we chose to call them not crowd funders, but crowd founders. Very literally, each person who contributed to our campaign, which finished out at over $10,000 and growing, played an important role in bringing craft beer to the community. Moreover, while we have concluded the formal campaign and will be giving out all of the goodies at our upcoming party, we will not be forgetting those who believed in us from the beginning. For some, there are formal opportunities that were written into the funding levels, however, this group will be instrumental when we open and we plan to have lots of surprises up our sleeve for these individuals as we move forward. Soâ€¦ Where are we in the location searchâ€¦? As I mentioned to some people of asked the question, we have two locations that we are looking very closely at and have expressed our interest in leasing. One of these locations we have received a proposal and sent some of our questions and requests back to the owner. The other location we are hoping to be able to come to a deal soon and receive a proposal in the near future. Finding the right location at the best possible price is essential to the success of Augustino Brewing. We could be making the best beer in the state, but if our expenses are too high we’d have to pass that cost through… and that would make us sad because our goal is to provide an Awesome experience, great coffee, beer and food, at a great price. We think you’ll appreciate our diligence today when we open down the road. Interestingly, there’s been a third location that we are now looking at as well. So, frustratingly, things are fluid, but from my time more than a decade ago assisting with finding and opening Wichita State University West, I recall that the process just takes time. Then the deal is signed and it’s full speed ahead! In the meantime, we’re icing the planning for our big party for our Founders and guests on October 1st. If you’ve contributed to our CrowdFounding campaign, we hope to see you there… If you haven’t contributed, make friends with someone who did as the fundraising window has now closed. So, what can you expect at the party? Firstly, a packed house. If the RSVPs are any indication, we may be looking at one of the biggest events ever to be held at Reverie Coffee, so get there early because, while we’re doing the best we can to spread out the crowd and keep lines as short as possible, it’s going to be like many beerfests and the lines may get a bit long at times. Secondly, when you arrive, we will ID you and check you off the list. You’ll get a fancy wristband that will get you back into Reverie without waiting, so you can take your Founders prizes out to your car when you pick them up. Thirdly, and maybe most importantly, the beers! We will have 6-7 available for you to sample. For those of you who were at our event earlier this year a couple of them will be familiar, but several are fresh and all may become our initial beer flight when we open next year. We’ll reveal the beer list throughout next week on our Facebook page, so be sure to check it out! Finally, you’ll be able to enjoy the open coffee bar (but bring some $ and be kind with your gratuity for the baristas). We’ll also have light food items, some of which may find their way onto our menu when we open, so we’d love to hear your feedback!